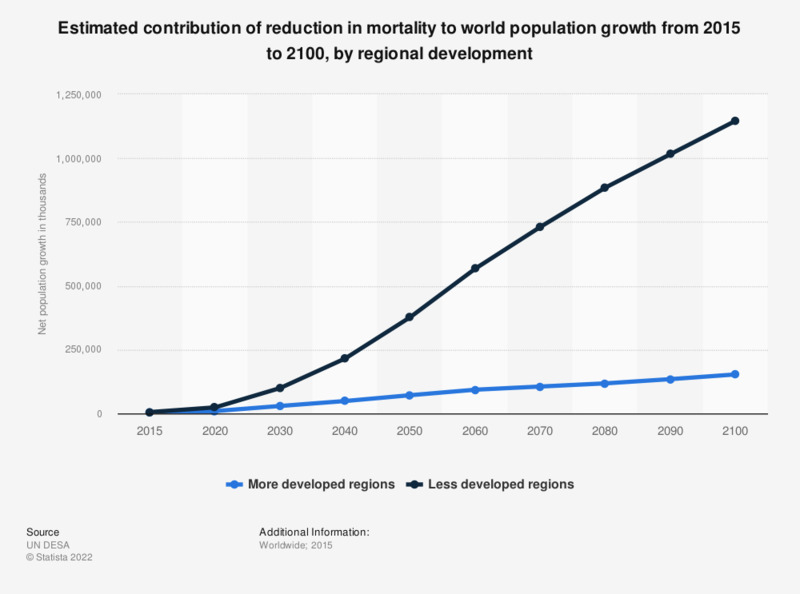 This statistic shows the contribution of the reduction in mortality to future global population growth from 2015 to 2100. Decreased mortality is projected to contribute over 1.1 billion people to the population growth of less developed regions of the world by 2100. Which countries should address climate change?